Grab superior quality 10.5 tog duvet and pillow sets from our store and experience the luxury of comfort. Bedding mill offers duvet and pillow sets in ample of sizes so that you can easily choose them according to your need without much hassle. Crammed with 100% polyester hollow fibre ensures that you have sound sleep with much tossing and turnings. Polyester hollow fibre is one of the finest fibre that bestows heavenly warmth and cosiness. 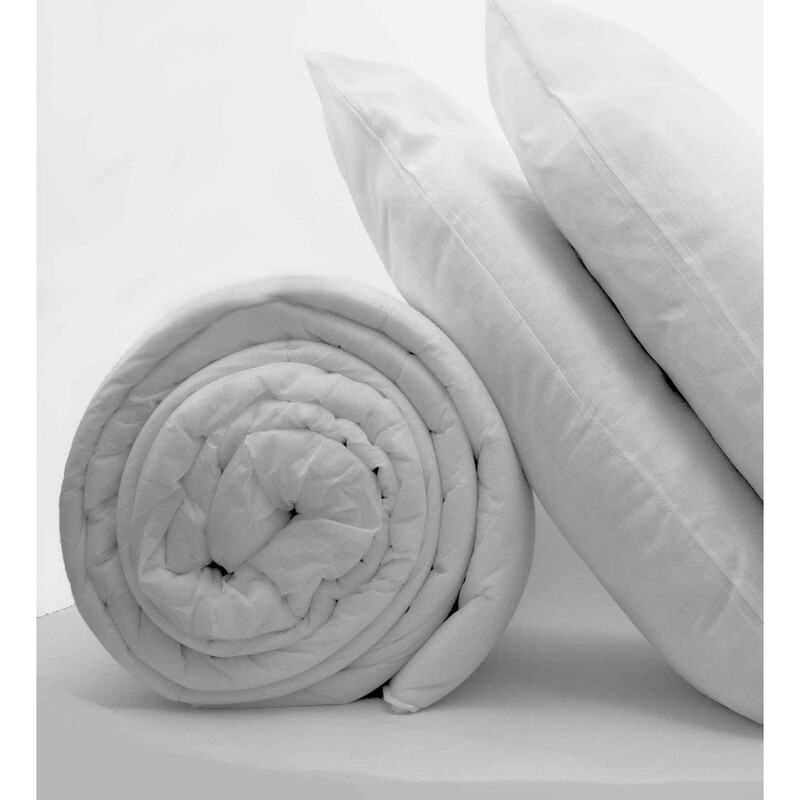 Our luxurious duvet and pillow sets enveloped in poly cotton casing are highly durable, soft and machine washable too.